Netflix will not be part of Apple's new streaming service, according to Netflix Chief Executive, Reed Hastings. Speaking to reporters at the Netflix offices in Hollywood, Hastings said that "we prefer to let our customers watch our content on our service," and that "[Netflix has] chosen not to integrate with [Apple's] service." This doesn't come as a huge surprise, as Apple's new streaming service is said to be a new rival to Netflix, that might well include subscription bundles for digital news and magazines as well as shows and movies. It's expected that Apple is planning a launch event for the new streaming service on March 25, judging from suggestively-titled invites for its next major launch event that went out last week, simply stating: 'It's Show Time'. 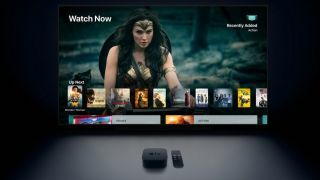 The streaming service is said to contain a mixture of Apple's original content and content provided by the likes of HBO which may be available to buy as add-ons. Although we've seen Apple-made shows before, budgets exceeding $1 billion suggest that Apple's latest foray into the world of content creation will be more ambitious than ever before. Even so, the omission of Netflix from the new streaming service could be enough to turn some viewers off. The March 25 event might not be all about the new streaming service too – there are rumors that Apple might also be launching the AirPods 2 at the event, plus the long-awaited AirPower wireless charging mat, although we highly doubt that given the reported problems with production that device has suffered.